Who's ready for spring on the Oregon Farm Loop? It's The Season For Blooms on the Oregon Farm Loop! 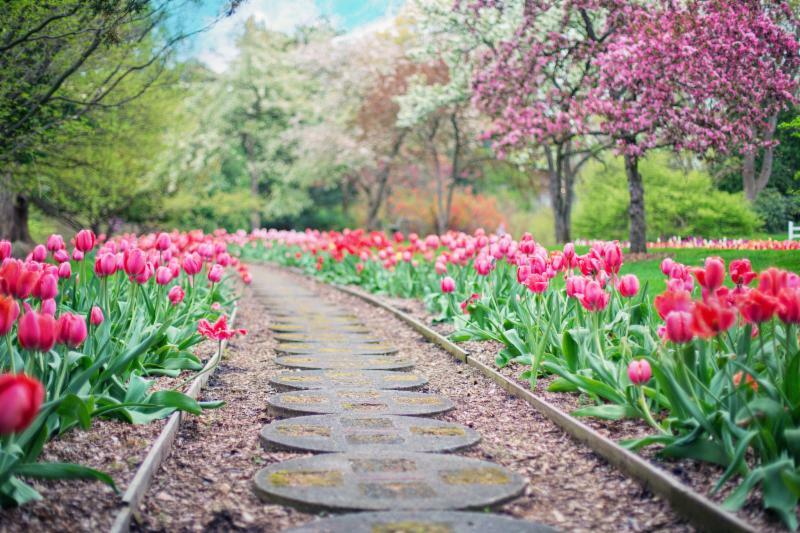 April is a great time for spring blooms and getting back out into the garden! This is the month for starting the veggie garden, working up your annual and perennial beds, planting new trees and shrubs, getting the lawn ready for summer, meeting farmers at the local markets, and taking strolls through gardens and tulip fields. You can find all of these things and a whole lot more on the farm stops listed below. Bosky Dell Natives - Find more than 30 species of native northwest plants including ones that attract birds, bees, butterflies and beneficial insects. Barn Owl Nursery Herb & Lavender Farm - Opening in early May, you can find more than 100 lavender varieties, herbs and lavender products. Luscher Farm - Rogerson Clematis Garden, housed at Lusher Farm, opens in early May and is an extensive collection of clematis plants - a must-see! Milwaukie Farmers Market - Opening May 5 for the season, it is a great place to source flowers, veggie starts and garden art. Oregon City Farmers Market - Market will be open April 13 and April 27. May 4 the weekly summer market opens with spring plants, fresh flowers, and much more. Fir Point Farms - Kick off the gardening season at GardenPalooza on April 6 and return for hanging baskets and annuals in late April. 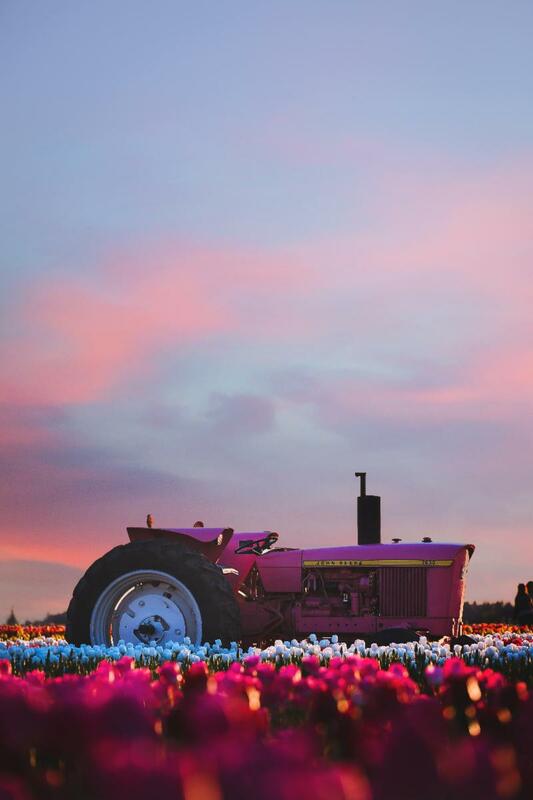 Wooden Shoe Tulip Farm - Walk through acres of beautiful tulips! More info on their annual event below. 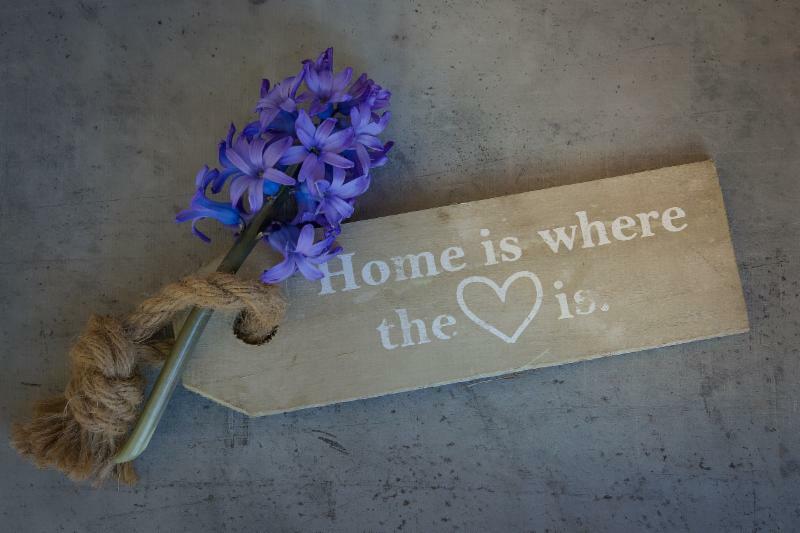 Clackamas County Fair & Event Center - Visit the Spring Garden Fair the first weekend in May to find everything you need for your garden! Swan Island Dahlias - Buy dahlia tubers on site at the United State's largest dahlia grower. Wilco - Shop for lawn and garden supplies, equipment and locally-raised flowers and veggie plants. Advice on plant foods and medicines. K's Nursery - A garden center with everything you’ll need for beautiful flowers — annuals, perennials, herbs and baskets. Stoller Farms - Starting in April the avid gardener can choose the finest geraniums, magnificent hanging baskets and assorted vegetables and bedding plants. Molalla Farmers Market - Opens May 30 for veggie and flower starts sourced from local farms. Egan Gardens - Perennials, annuals, greenhouses full of flowering plants, hanging baskets and planters. Also features lots of roses and shrubs, and a nice selection of dwarf conifers. Egan Gardens will also be at GardenPalooza April 6. Bauman's Farm & Garden - Greenhouses full of colorful baskets, annuals, perennials, veggie starts, trees and shrubs, and gardening advice to boot! They will also be at GardenPalooza April 6. E.Z. Orchards Farm Market - Come check out their fresh-cut tulip bouquets and herb plants while you shop their fresh produce and snack on a house-made donut. French Prairie Gardens & Family Farm - Garden Center full of perennials, annuals, shrubs and hanging baskets. Sip a local cider while you shop! Margie's Farm & Garden - Greenhouses open for hanging baskets, annuals, perennials at this full-fledged garden and retail center. Greens Bridge Gardens - Starting in May, find flowers and veggie starts on this southern most point of the Marion Farm Loop. The Oregon Garden - The Garden is coming back to life this time of year! Current blooms include the star magnolia, daffodils, crocus, hyacinth and many more.The Oregon Garden is hosting their annual Earth Day event April 20th, presented by Marion County. More information on this event here. Raintree Tropical - If you're looking for unusual, specialty and tropical plants, this is the place! Demonstration garden on site. Salem Saturday Market - Celebrate their 21st season by visiting their 150+ vendors and picking out flower and veggie plants for your garden. Opening day April 6. Running through April 29, the annual Wooden Shoe Tulip Fest is here again! Walk through 40 acres of stunning floral beauty, experience expansive views of vineyards, distant mountains, and a few mud puddles. Fresh flowers, food, and fun for the entire family, including well behaved dogs on leashes! Visit their website and Facebook Page for a full schedule of events and blooming updates. Come and learn with a DAY of DAIRY! Stop at Dairy Stations and learn about: feeding a show cow, fitting a show cow, milking a cow, and cheese making. Stay to watch the Oregon Junior Holstein Sale. Lunch at the Grilled Cheese Machine and Right Bayou Cajun Food Trucks. FREE for everyone to attend. More info on the Facebook event page here . Schedule a farm tour and experience a bit of small farm life. 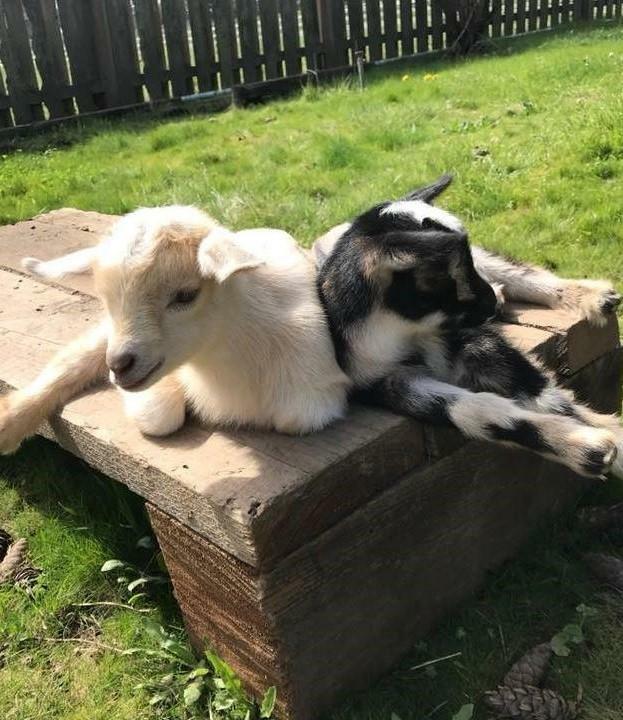 You'll have the chance to meet our lovely alpacas, ostriches, goats, pigs chickens and maybe see some baby animals. Wednesday & Thursday at 10 am, Saturdays at 10 am and 2 pm. Be sure to email or call to confirm your spot as space is limited. $7 per person, 1 and under are free. More information on our website here . Join us at t he Mt. Angel Festhalle to taste wines from 16 family wineries, learn all about growing grapes and making wine, and celebrate Oregon Wine Month. At $15 per adult, this is a truly affordable (and educational!) wine experience. 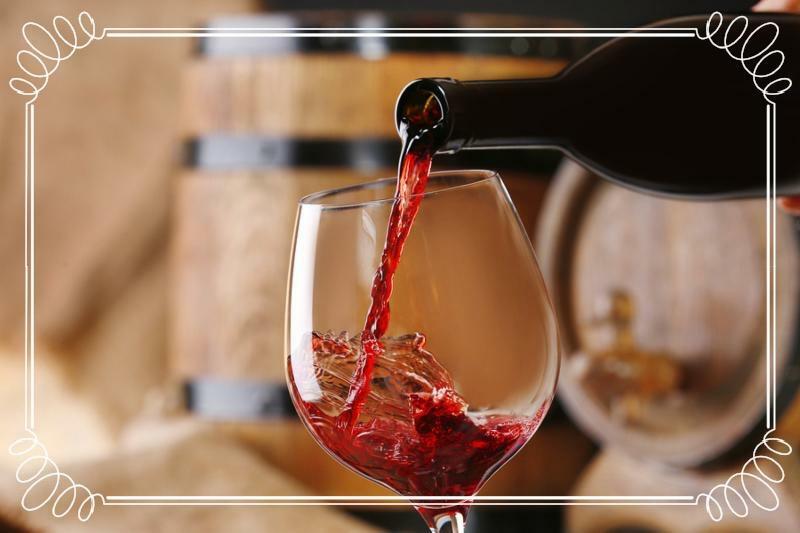 A great way for your friends and family to enjoy an afternoon of wine and fun! More info on the Facebook event page here . Come and experience the warmth and charm of spring in the country! Over 100 vendors will be selling handcrafted items featuring birdhouses, garden art, collectibles, home décor, plants gourmet treats and more! It's the 27 Annual year so don't miss out. For more information please visit the website here. Easter on the farm is fun for all ages! Whether you are hunting for eggs, buying spring flowers, talking a walk through gardens, or looking for that perfect holiday baked good, our farm stops have it all. A great place to take the kids on Eater weekend! Participate in the Easter Egg Hunt, jump on the Jumping Pillow, grab a coffee (or hard cider!) and lunch, stroll through the beautiful, blooming nursery, and get a tasty treat form the farm bakery. Children will be released in small groups to gather eggs, between 10 am-2 pm. More information on Bauman's Facebook Page. Tuesday, April 17 at 12 pm is the last day to order pies for Easter. 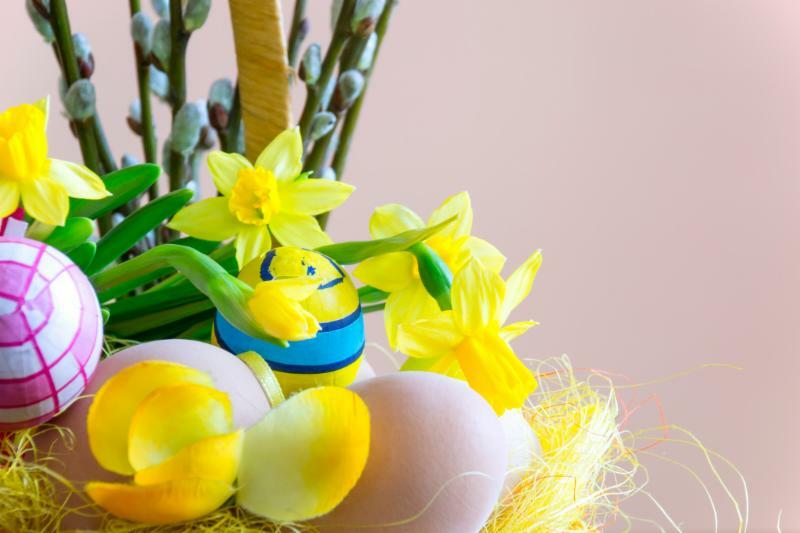 Saturday, April 20 Easter egg decorating event! For $5 a person or child, you get 3 eggs, art supplies, and a FREE kids cone. Along with fun hidden Easter eggs in the lawn available for anyone to find! There will also be a furry SPECIAL GUEST with pictures allowed. More information on their Facebook event page. Enjoy Easter weekend among the acres and acres of tulip blooms! Classes, lots of live music, and special events all weekend. Saturday, April 20 - 9 am & 11 am: Easter Egg Hunt- One age group will hunt at a time. The age groups are: 0-2, 3-4, 5-6, 7-8 & 9- 11 every 10 minutes. 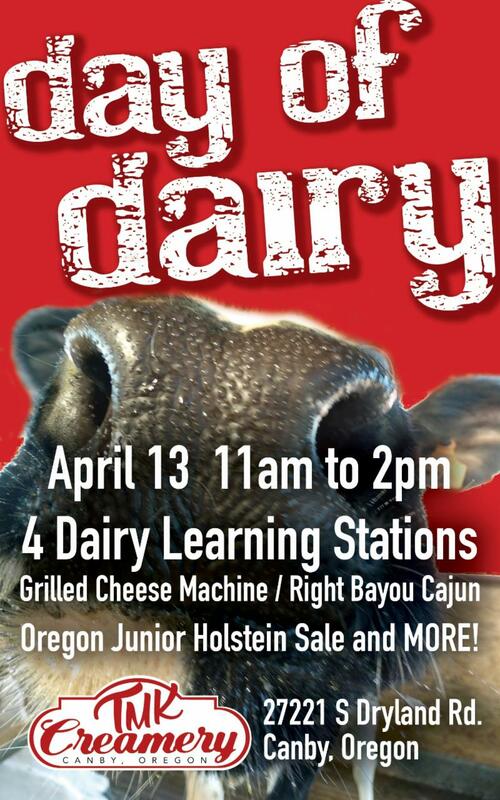 Sunday, April 21 - Cow in the Field from 11 am - 2 pm, courtesy of TMK Creamery. Check out the full weekend schedule on their website event page here. Nothing says spring or Easter quite like chicks! Union Mills Feed will have baby chicks, turkeys and ducks through the end of April. 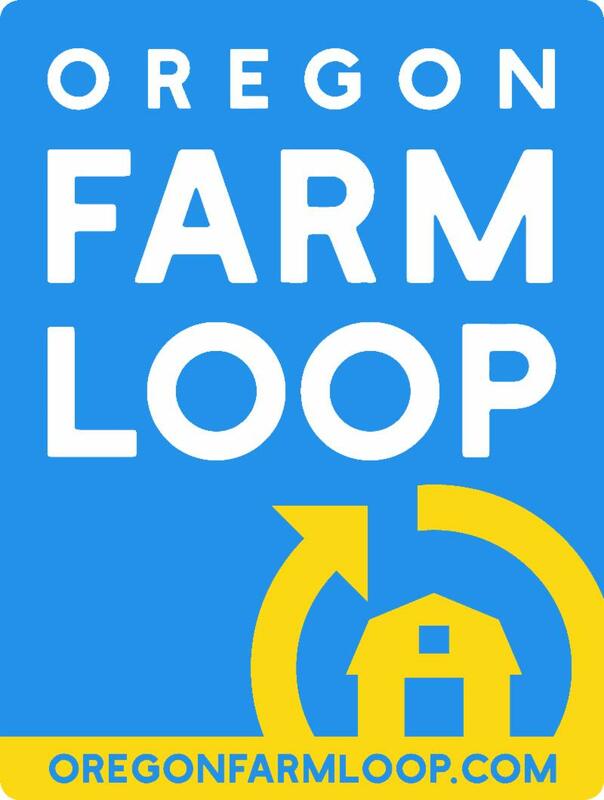 About Us Events News What is a Farm Loop?